As a founding member of Santana and then Journey, Gregg Rolie has an illustrious past. Since ‘80 though, when he left Journey, he’s had a much lower key life. 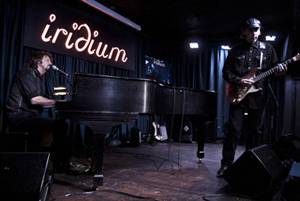 That’s the kind of performance that he led at the Iridium, a jazz geared club in the heart of midtown Manhattan. 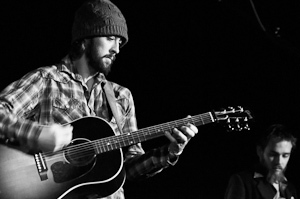 With only Rolie’s piano and singing accompanied by guitarist Alan Haynes, it was a bluesy, mellow and soulful affair. There were some well known songs from Rolie’s past, such as such as Evil Ways and Black Magic Woman by Santana, and the lesser known Look Into The Future by Journey, and the rest were a hodge podge that included songs that he and Haynes have composed together. One wouldn’t dare call Milwaukee a DJ city. It’s also not mistaken for the birthplace of electronica or house music. But despite what Milwaukee might be known for, the institution known as The Rave has been good about bringing world renowned DJs to the people of Milwaukee. 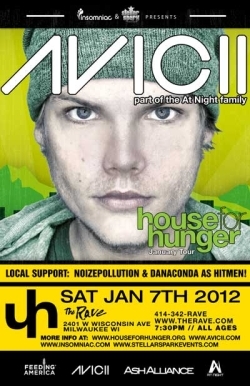 Saturday was no different when Milwaukee played host to 22-year-old Swedish DJ Avicii (born Tim Bergling). 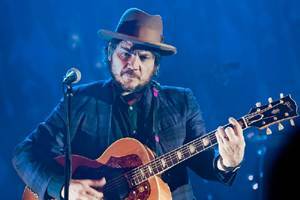 Wilco and Nick Lowe returned to the Riverside Theater with a thrilling night of rock and roll and quality songwriting. Although he might often be left out of the conversation when talking about legendary singers, John Mellencamp has chipped out an impressive career of All-American, small-town hardworking folk/rock that’s in a league of its own. Not only does he know how to create a rock anthem but also knows how to make a song with an impactful message. While other singers might sing about mortality, faith and relationships, Mellencamp Indiana-raised honest approach has hit home with many people. Over the past few years Mellencamp has played Milwaukee several times, including a stellar Farm Aid performance. 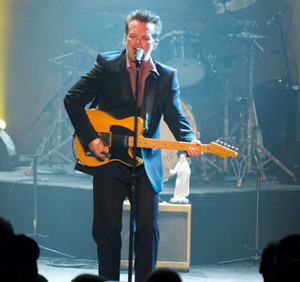 But in the intimate confines of the Riverside Theater in Milwaukee, he and his band seemed to relish the atmosphere and for two hours provided a diverse collection of songs spanning Mellencamp’s career. 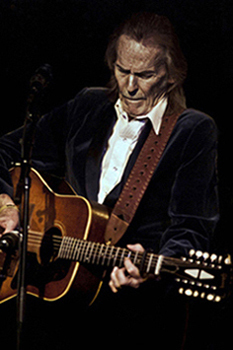 Canada’s Gordon Lightfoot gave his audience in the chaotic Times Square his sensitive, thoughtful, personal and self penned folk music, and they appreciated him giving his all in doing so. As it often happens over so many years though, Gord, as he’s affectionately known, doesn’t possess the strength in voice or body of the old days. Given that he’s 73 and suffered a near-fatal abdominal hemorrhage while performing in his hometown of Orillia, Ontario in ‘02, which put him in a coma for weeks, this is not at all surprising. The nearly life ending health scare took a further toll on what had already been a thin and lanky frame. Being a smoker for many decades and continuing to do only worsens things. It’s clear that Gord does admirably try his best, and in a rather intimate setting like BB King’s, he still comes across with enough conviction to connect. His stellar band supports and accentuates him very effectively. 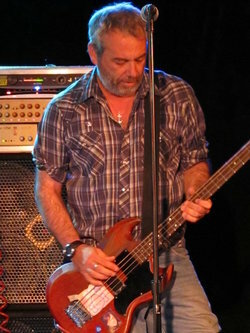 They consist of bassist Rick Haynes, who’s been on board since ‘69, drummer Barry Keane, retained since ‘72, Michael Haffernan on keyboards, present since ‘80, and newcomer Carter Lancaster on guitar, who replaced long time guitarist Terry Clements after his most unfortunate passing from a stroke last year. They gel with exceptional ease, and don’t ever get in Gord’s way, which allows for him to be heard and understood. The 42nd annual Songwriter’s Hall Of Fame was held on June 16th at the imposing Marriott Marquis Hotel in the middle of Times Square. 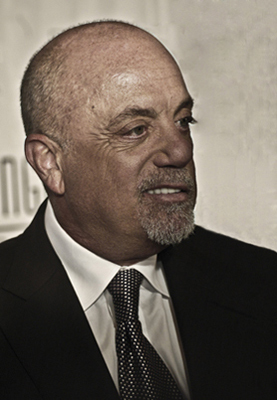 This year’s ceremony honored John Bettis, Garth Brooks, Leon Russell, Billy Steinberg & Tom Kelly and Allen Toussaint. Veteran songwriting team and married couple Barry Mann and Cynthia Weil received the Johnny Mercer Award. The “Towering Song” distinction was “It Was A Very Good Year,” given to composer and lyricist Ervin Drake. The Hal David Starlight Award was also presented to Drake. The Howie Richmond Hitmaker Award recipient was Chaka Khan, and the first-ever Visionary Leadership Award was presented to SHOF Chairman Emeritus Hal David. 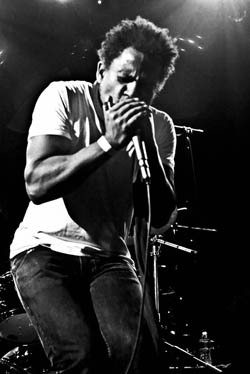 Punk rocker Mike Watt (Minutemen) & the Missingmen played Shank Hall with a lot of energy. 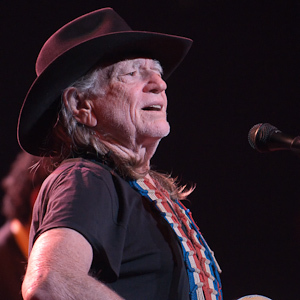 Willie Nelson played preacher man to a room full of believers with a show that felt like an old fashioned tent revival meeting. The enthusiastic crowd and Nelson seemed to feed off of each other’s energy to bring the mood at the Riverside Theater on Tuesday night to a fever pitch. Opening the show with his standard “Whiskey River” and moving quickly on to “Still Is Still Moving To Me” and a medley of hits, Nelson had the crowd with his first note. Although the crowd remained seated during most of the performance, they rose to their feet in enthusiastic applause after every number. For full impact, the spread just had to be located in Lynott’s hometown of Dublin. (He grew up in the suburb of Crumlin.) 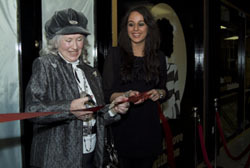 The exhibit is situated on the top floor of Stephen’s Green Shopping Centre, on Grafton Street. This is the city’s most well known street, located in the heart of the city. Philo, as he was affectionately called by many, hung out around this area aplenty. He worked on many song ideas at the sprawling and old time Bewely’s Cafe, also on Grafton, which opened in ‘27. It’s still there and looks even more attractive inside than ever after a renovation in ‘04. When we first arrived at this classic Milwaukee bar, there were just a handful of people there along with friendly bar owner Andy. 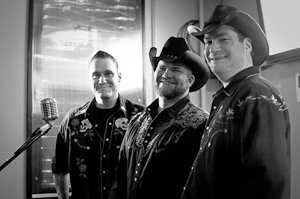 The band was just finishing up with a crew who had been shooting a new video an original God’s Outlaw song – “Uhaulin’”, the tale of a spat between lead singer Brian Smith and his wife. The atmosphere was laid back and friendly. We felt right at home. The band’s loyal following quickly filled the house and at around 9, the band hit the stage. For about two hours, the trio entertained the crowd with the music of Johnny Cash along with some of their own originals, throwing in a little David Allan Coe and Kristofferson’s “Sunday Morning Coming Down” per an audience request. Although they primarily perform Cash covers, this is no cheesy impersonator act. While they do sing the big hits like “Boy Named Sue” and “Folsom Prison Blues”, they add deeper Cash cuts to the mix creating a totally enjoyable experience.